Ever have a sauerkraut ball? A staple at Oktoberfest celebrations all over the midwest US, I went in search of an authentic recipe from Germany. What I found really surprised me. They aren’t German at all. In fact, they were invented just down the road from where I live in the Akron, Ohio area. A part of the country that had a lot of German immigrants and Mennonites, the appetizer first showed up in the 1960s in local restaurants. Who knew? 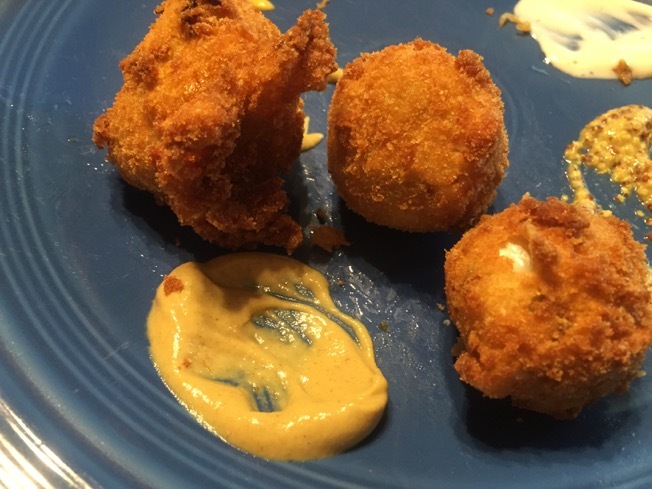 Anything deep-fried is really tasty and these do not disappoint! Sauerkraut and bratwurst are the stars of this show. 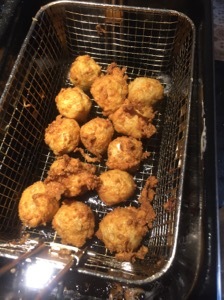 Mix it all together, form into balls and drop into the fryer. 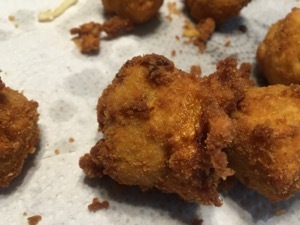 You can cook these in a pot of oil or if you are lucky enough to have a personal deep fryer, it’s even better. 1. 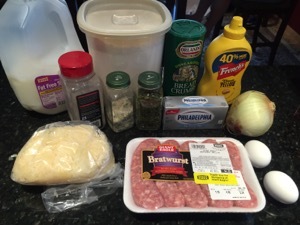 Cook sausage and onion until meat is brown. 3. 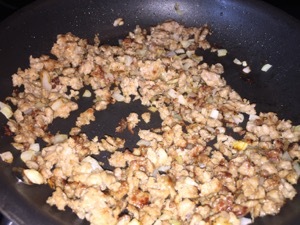 Add sauerkraut and 2 T bread crumbs to the mixture. 4. 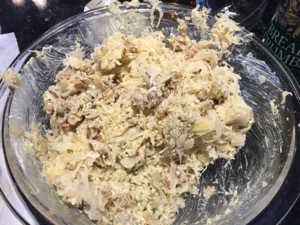 Combine cream cheese,parsley, mustard, garlic salt and pepper. 5. Add to sauerkraut mixture. 7. Form into small balls and coat with flour. 8. Dip in egg-milk mixture and roll in bread crumbs. 9. Fry in deep fat until brown (can be frozen at this point) Bake in a 375 degree oven for 15-20 minutes SERVE HOT.